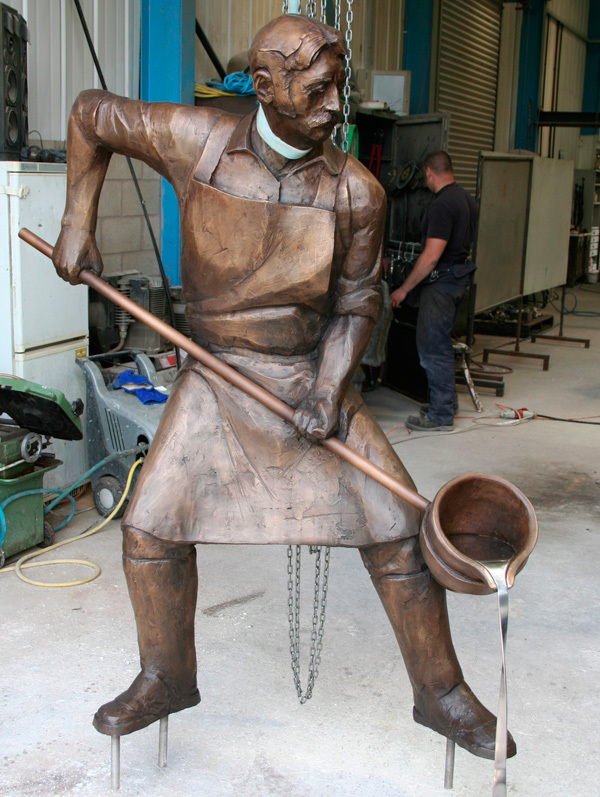 Working in partnership with the architects Watson Batty and Morrisons Plc., Scartworks produced this unique bronze statue. The sculpture was inspired by the history of the site which was once the Leyland Bus factory site and the Farrington Foundry. 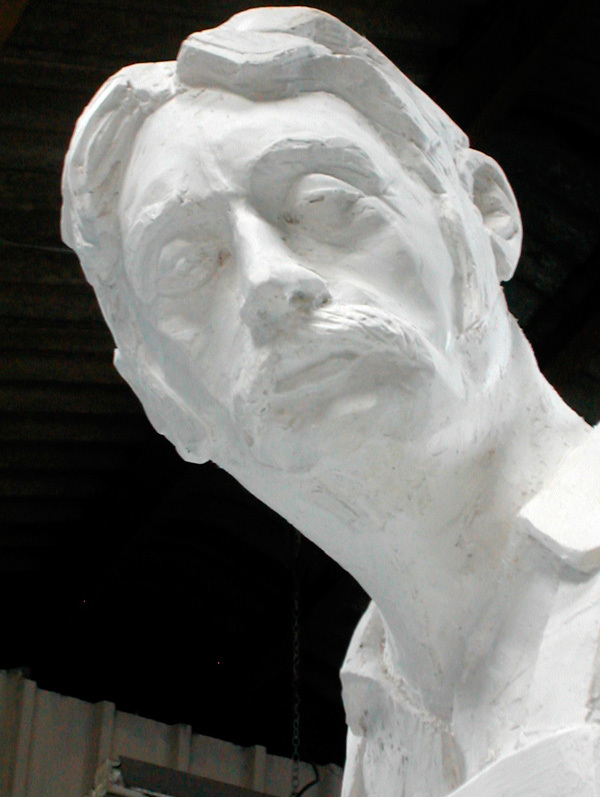 The figure was modelled in plaster of paris on a steel armature. This work took over a month to complete. 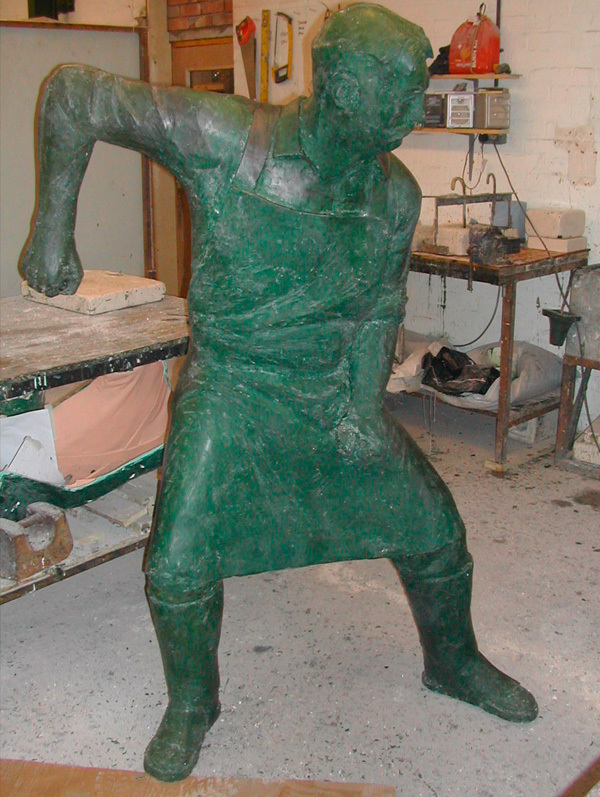 The figure was then cast using the traditional lost wax technique. Bronzes have been cast in this way since the Renaissance, however up to date CAD and water jet cutting technology were employed to make the base. 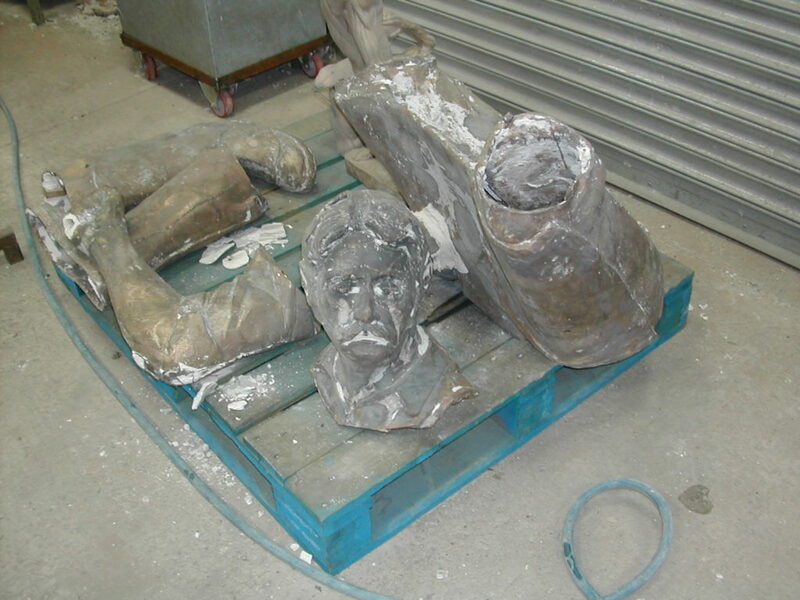 Bronzes have been cast in this way since the Renaissance, however up to date CAD and water jet cutting technology were employed to make the base.